Apra Indiana members - check out our newly updated Resource Portal in our Members Only section for the latest links to free research sites! Not a member? Join Apra Indiana to receive access to our members only section and discounts on our upcoming events! New Job Opportunity at Butler University! Check out the new job posting for an Advancement Researcher at Butler University on our jobs page! Check out the new job posting for a research analyst at the Purdue Research Foundation on our jobs page! Thanks to our 2017 board members! Thank you to the board members who are rolling off the Apra Indiana board at the end of 2017. Your service has been invaluable! 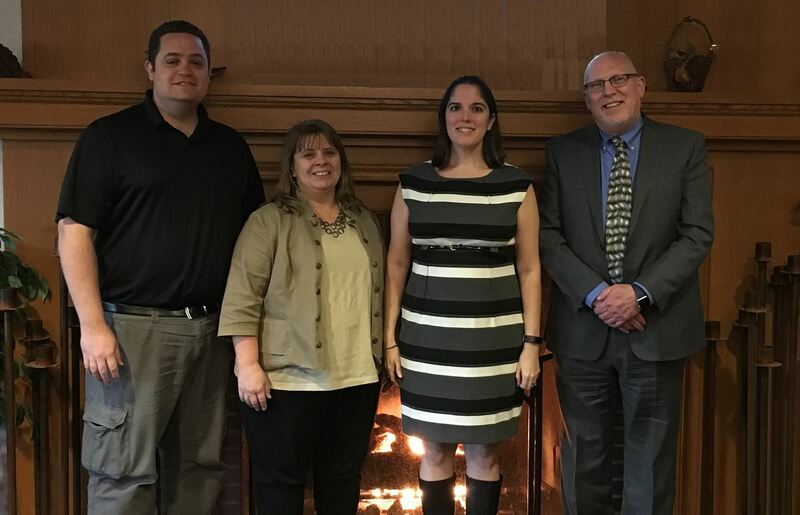 Welcome to the new Apra Indiana board members! Please join us in welcoming our new board members for 2018! United Way of Central Indiana is hiring a Research Associate! Check out the details on our Jobs Page. Apra Indiana Newsletter Trivia Winner! Congratulations to Kelly Coffee with the Community Health Network Foundation for correctly answering the questions in the previous Apra Indiana Newsletter! Your chance to win starts today with the most recent newsletter. One member who answers the questions will correctly will receive a $5 gift card to Starbucks! Share your knowledge and expertise at the 2018 NEDRA Conference, to be held Thursday April 26th and Friday April 27th, 2018 at the Hotel Viking in Newport, RI. Proposed presentations should be on a topic related to fundraising research, prospect management, fundraising data, or analytics and fit within the conference’s four tracks: Prospect Research, Prospect Management, Fundraising Data Science, and Innovations & Trends. Educational sessions will be 60 minutes in length. Full presentations will be due to NEDRA in late March. Presentations from organizations of all sizes and types are welcome. For-profit vendors/consultants are eligible to submit proposals for educational conference sessions. However, educational sessions must not include any marketing or product demonstration. NOTE: To present a product-related session, please contact Sponsorship Chairs Ian Wells (ian@iantwells.com) or Bill Gotfredson (william.gotfredson@chtrust.org). This is a great opportunity to share your unique skills, expertise and best practices with our community. Please submit a short summary of your proposed presentation and a brief speaker bio here: http://www.nedra.org/conference_speaker_proposals. The proposal deadline is Friday, January 12, 2018. Questions? Contact NEDRA Conference Co-Chairs Susan Grivno (susan.grivno@unh.edu) or Erin Dupuis (dupuise@merrimack.edu). Apra Indiana Annual Meeting Registration Open! Don't miss this year's Apra Indiana Annual Meeting which will take place Tuesday, December 5, 2017 from 10:00 a.m. to 3:30 p.m. at Fort Harrison State Park in Indianapolis. Registration is now open and is only $30 for members and $35 for non-members. Registration closes November 28, so don't delay! Join us at for a year in review and a chance to network with your research peers. There will be great presentations on public speaking from Graham Honaker of Toastmasters and women's philanthropy from Michele Boillotat and Helen Ksiazek of the IU Foundation, in addition to a small-shop panel. We hope to see you there! Vote now for the Apra Indiana 2018 Board! All 2017 Apra Indiana members are now able to cast their votes for our board members! We have seven candidates and you can vote for up to seven. You can view information about the candidates and find a link to the ballot here. You will need to log in to the website to access the page. Voting closes on December 4, 2017 at 5:00 p.m. EST.